If you have been a person who dreamt about being a Mumbaikar all your life then what would be your reaction when you actually land on Mumbai soil? Like Alice in Wonderland right? As I looked down from the Airplane on a city which is largely called city of dreams I felt I am finally at home. huh dramatic I tell you. The first look of it is stand-apart. You see congested lanes and closely attached houses which are all covered with blue waterproof sheets probably to save the homes from the famous Mumbai pour and it looked like a big slum area and refreshed the memories of the awe so famous, slumdog star stuck Dharavi and then you get a complete contract image of sea-link and eastern suburbs. I cant say I was not excited. Well, think of Mumbai and you get thoughts of Ajay Devgan standing at sea shore and claiming Mumbai’s sea in “Once Upon a time in Mumbai”, kids playing in Dharavi in “Slumdog Millionaire”, Priyanka Chopra opening curtains of her sea facing huge apartment window in “Fashion” or Konkona sen building up a small studio apartment for herself in “Wake up Sid”. Oh wait did I just do it again? In my recent trip to Mumbai, my friend Irshad kept pointing out how filmy I was. Hell ya I am filmy. Mumbai is a city which can not be seen over a weekend but is rather a city which will present itself to those who are willing to let go of humidity and traffic in order to experience the realm of Mumbai’s life. It has something for everyone. From beaches to great shopping experiences, from Amitabh’s house to famous shooting spots, from Busy bustling night life to calm late night beach stroll. 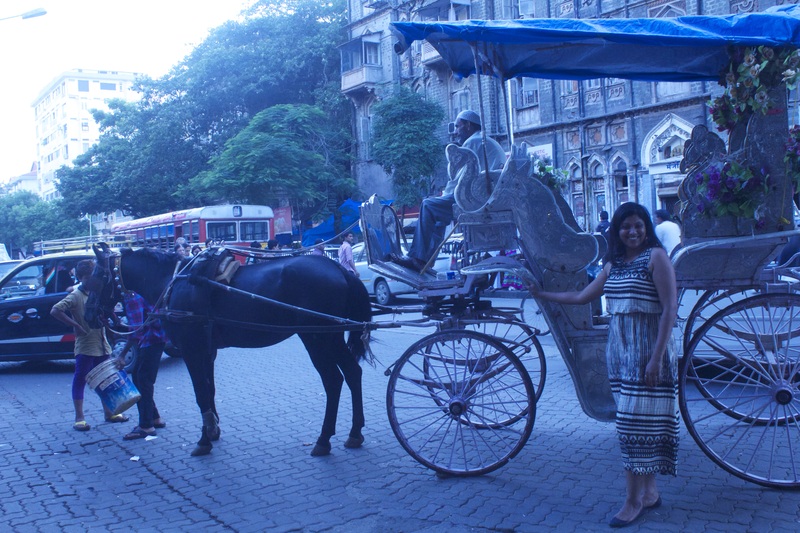 Colaba Market – This is an upscale neighborhood with an old Bombay charm to it. The street is covered with flea shops which are loaded with antiques, junk jewelries and other fancy items. 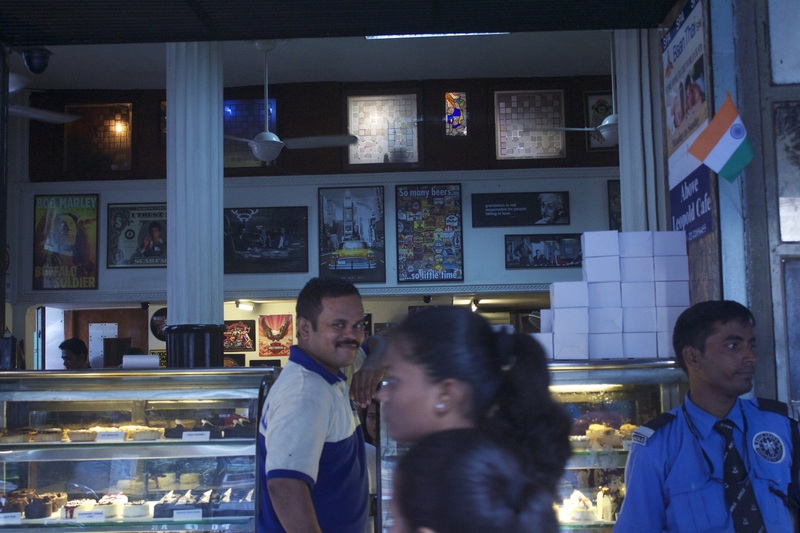 It is also the house of famous Leopold cafe (one of the attacked sites during November 2008 Mumbai attack). 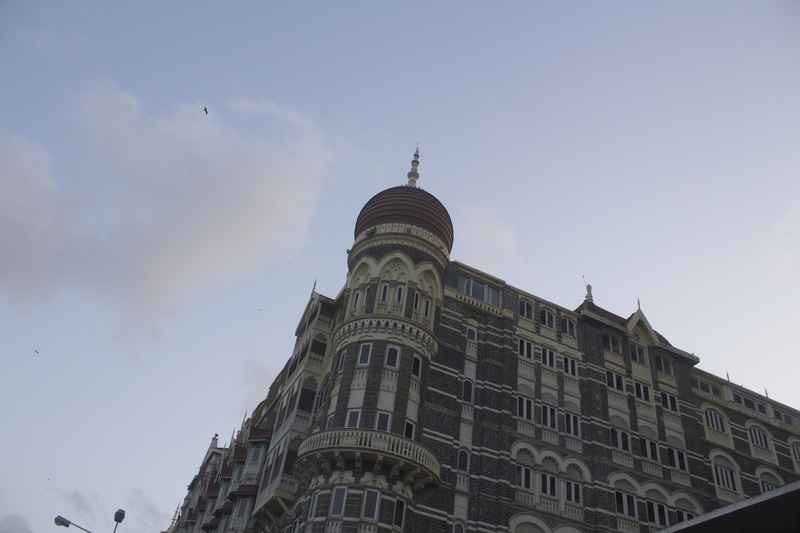 Take a walk and you are facing The gateway of India and beside it stands the Taj Mahal Hotel with proud. Bandra-worli Sea Link- the moment your car enters this bridge you will feel like somebody stamped your passport and you are in some foreign land. It is even visible while landing from your plane and looks beautiful but when you are on it then its magical. Nariman Point- Remember Munnabhai MBBS and Guru movie? The place is kind of an architectural bliss. A wide stretch road next to the sea and an impression of Manhattan. For a second you will feel like you are not in India. This place is also called “Manhatten of Mumbai” for the very same reason. I could sit there for hours altogether. Mumbai Street Shopping- If you are in Mumbai then a must visit bazaars are Lokhandwala market, Lower parel, Colaba causaway, Crawford Market and Alfa market. I am still emotionally attached to my minions shorts, jhumka and Net top which I brought from these places. Bandstand- Ok so beside Mr Khan’s house “Mannat”, this place is a must go. I went there after sunset and sat there for hours al together. A worthwhile experience- 2 charming boys came with their Guitars and started playing and singing famous Bollywood songs from “toota toota ek parinda” to “in dino dil mera ” and it was a moment straight out of some movie. Like someone giving background music to your blissful evening. Cafes- If you are a cafe culture person like me then “yo” to Mumbai. The city is filled with cafes. You name it -irani, persian, continental, arabian, and ofcourse Indian. From falafal to biryani to vada pau, it has taste for everyone. Extras- I am not referring to the extras in Bollywood here but somethings which just come as a bonanza in Mumbai. There is a ring to this city and somethings only happen here. For example the spicy ice cream which you can get in other parts of country also but not like Mumbai’s. The ice cream was an attraction in the middle of night near Nariman Point. 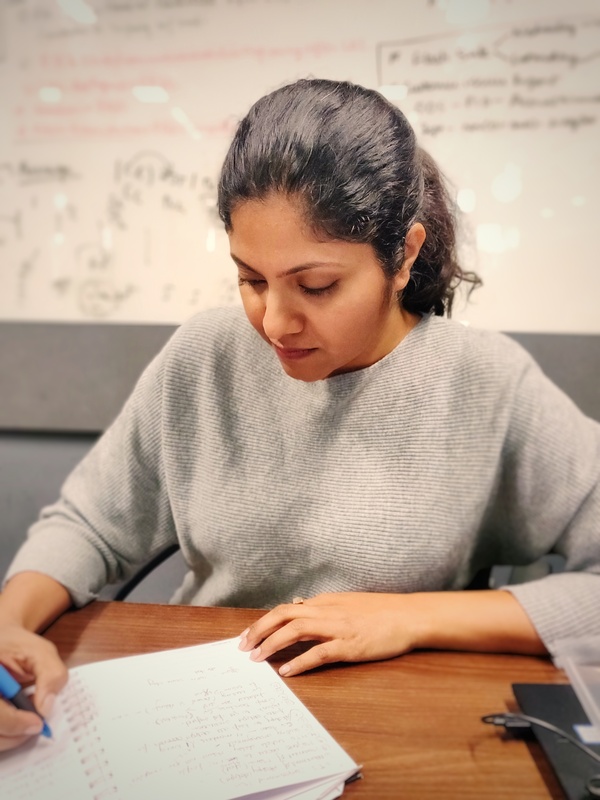 Safety– being a Delhite I always get nervous after 9 on roads but not here. I was with a girl friend sitting at Badstand till late night and that thought never crossed my mind. Celebrities– You just cant miss it. Wherever you go you end up seeing someone or other and its bloody normal here. A city just acts like a background when you are there with close friends. What brings joy is the moment you spend with your loved ones, new allies and everlasting new experiences. Remember that first time is always the best time. So go ahead, drop all inhibitions and soak yourself in this new and fulfilling experience. Give Mumbai a try.